Nuzaimah Ideris, the wife of a Malaysian man who was ‘banned’ from Zalora, was rewarded with a year’s supply of clothes and shoes courtesy of the e-commerce giant. Nuzaimah also received a RM400 (about SGD 150) Zalora gift card, the company said yesterday (3rd December 2014). The mother-to-be and her husband, Radzi Ali, first rose to fame online after the latter posted a hilarious plea to Zalora to ‘ban’ his wife from the website to keep her from shopping. The comment went viral and the original post has since garnered more than 300 Facebook ‘likes’ as of yesterday. Zalora’s fans have also responded positively to the three-party conversation, save a few who suspected it to be a marketing plot. Nonetheless, the entire humorous episode ended with a cliffhanger when the Zalora team instructed the couple to privately message them on Facebook. As online users and fans continue to speculate the follow-up to the story, a team of five from Zalora decided to make a surprise visit to the adorable couple. “We are heartened and entertained to have had such a candid interaction with Radzi and Nuzaimah on our Facebook page. We would love to give her a memorable pregnancy to be dressed in Zalora and Zalia,” said Managing Director of ZALORA Malaysia, Giulio Xiloyannis. Meanwhile, Radzi himself had also posted an update after the Zalora team’s visit. 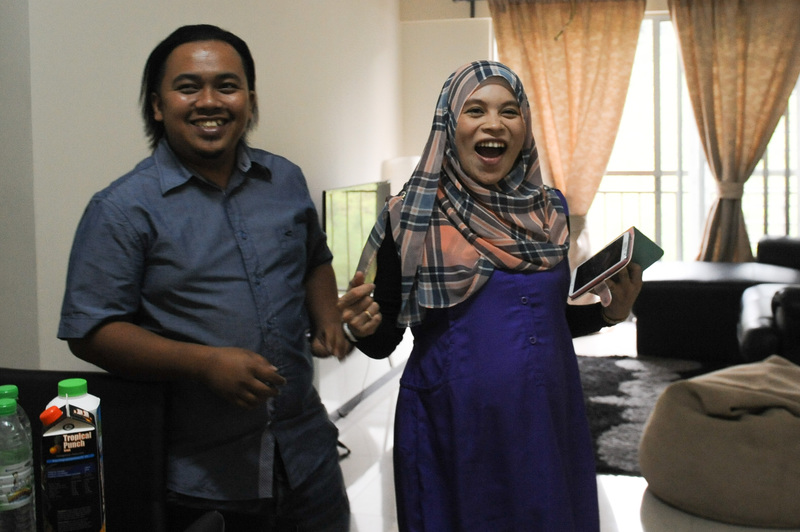 He wrote: “A team of five from Zalora Malaysia visited my house a moment ago. Zalora has managed to ‘seduce’ my wife well. You will not believe what Zalora did to influence my wife to shop in their website. This time, I lost. However, I will be back next time to launch my own website Levia to compete with Zalora.